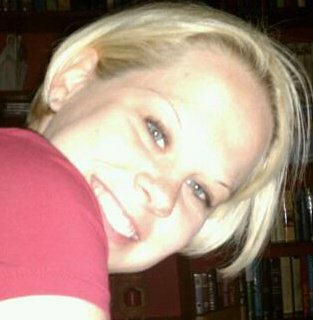 Passages to the Past: Introducing Colleen Turner, the new guest reviewer for Passages to the Past! Introducing Colleen Turner, the new guest reviewer for Passages to the Past! Hello, dear readers! I'd love it if you would please help me welcome Colleen Turner, my first guest reviewer, to Passages to the Past! With my son due to arrive in less than 5 weeks I haven't had a lot of time to read or review for PTTP while I prepare and once he is here it will be a little while until I get back in the swing of things. So, I asked Colleen if she would be interested in contributing reviews and I was so very thrilled when she agreed! I have loved reading her reviews for Luxury Reading and she is a joy to work with on my tours for HF Virtual Book Tours! Not only is she a wonderful person, but her reviews are awesome and I am very honored to have her here. Hi. My name's Colleen Turner and I have a reading addiction. Okay, now that I have confessed let me tell you a little bit about myself! I am a wife, mother and a Student Service Representative living in the Tampa Bay area of Florida. While my life doesn't leave a lot of free time I try to squeeze my love of reading into every nook and cranny I can find. You would be surprised the number of things you can do with your nose stuck in a book! My favorite genres are historical fiction and nonfiction, chic lit, general fiction...really anything other than westerns and science fiction. I am very excited to become a review contributor for Passages To The Past as I have been a follower of the blog for a while and just love it! I also contribute reviews to www.luxuryreading.com and can be found on Goodreads and Facebook. Check back later today for Colleen's first review for Passages to the Past! Hello Colleen! Look forward to reading your reviews. Excited for you and yournew son coming. Very glad that you can take off time to fully enjoy him. This is so great, I know that historical fiction is your favorite genre with Tudor history at the top of the list. I am so happy that you have this opportunity. Welcome Colleen! I look forward to seeing your reviews here. P.S. Never put your face to your name until now. Duh! So exciting! I love Colleen's reviews so I'm very excited to see she'll be helping out here -- welcome, Colleen!! Awww....thanks everyone!! I am SO EXCITED to be contributing reviews to Passages To The Past because it is one of my favorite blogs (no kidding!) and I just love Amy!!! Historical fiction really is my favorite and the chance to review for one of the all time best blogs for the genre is leaving me a little bit jumpy...in a good way! Thank you for the opportunity, Amy, and I am here for you girl whatever you need :)! Hi, Colleen! I'm looking forward to reading more of your reviews. I'm writing some of them myself and it's always great to learn more from the professionals!! Welcome, Colleen! It's a delight to see Amy's team grow with such fine talent. Amy, a warm welcome too to your son when he arrives. Enjoy him! Yay, Colleen! And congratulations! I always love your reviews, and can't wait to check out your historical fiction reviews! I've been reading her blog for a while now. So exciting that she gets to help you out for a while. Welcome Colleen!